Ambush from Ten Sides is a large instrumental showcase the Chai Found Music Workshop presented in 2005. The leader of the workshop, Huang Zhen-ming, prepared for one entire year to break through traditional music arrangements in order to inspire his fellow musicians to exhibit their performing talent. He pioneered the concept of 「playing like acting」 in performance. 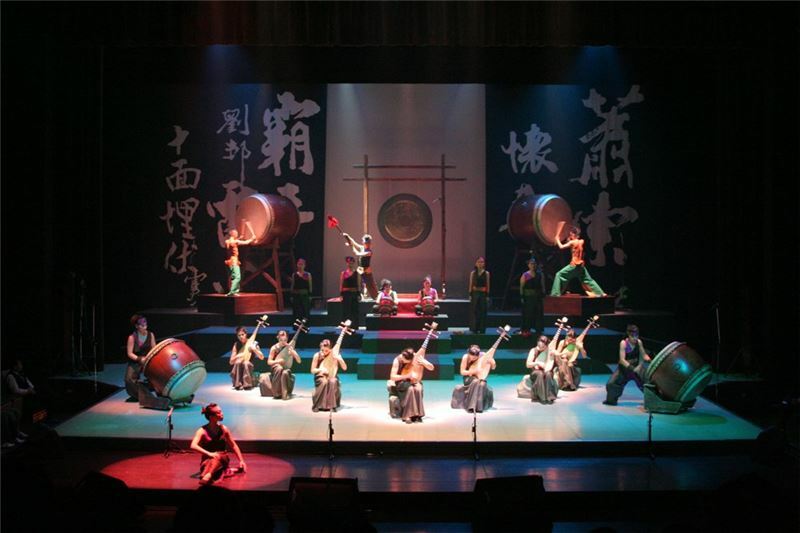 Within the framework of the history of Chu and Han's Competition, each musician merged into a historical figure. There's the xiao-flute which renders lyrical Xiang Yu's lament in Wujiang. The percussion section evoked scenes on the battlefield. The suona played up Xiang Yu's impulsive moves. The musicians』 body language, theatricality, stage design, lighting, and props create an inter-disciplinary artistic presentation. Each movement, glance, breath, and musical note re-interprets the scene on the vast battlefield of 202 B.C. Ambush from Ten Sides is an ancient piece of pipa music. The exquisite expressiveness of the pipa conveys the atmosphere of the decisive battle between Liu Bang and Xiang Yu in Gaixia. 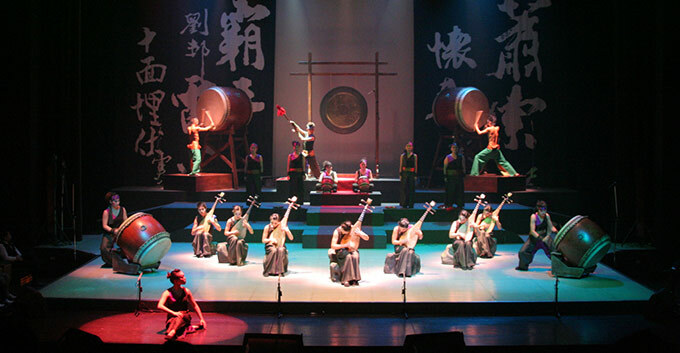 In traditional Chinese music, Ambush from Ten Sides is a classic example of pipa music. The Chai Found Music Workshop has continuously taken on inter-disciplinary performances with its unique arrangement, and color of traditional wind and string instruments. This version of Ambush from Ten Sides is one of their most important representative works.